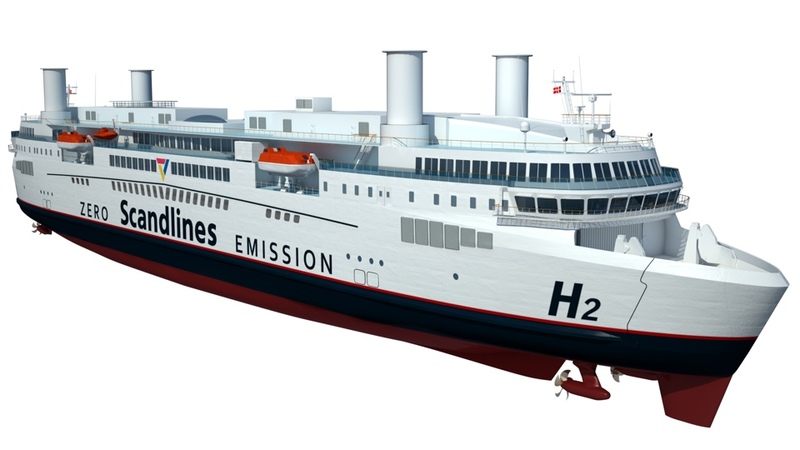 Planning an electric ship is not a novelty – but if it's about an ocean ferry, that's a serious business. It may sound as madness for the first time, and if one of China's harbour and let's say Hamburg would be the distance, then it would be so. 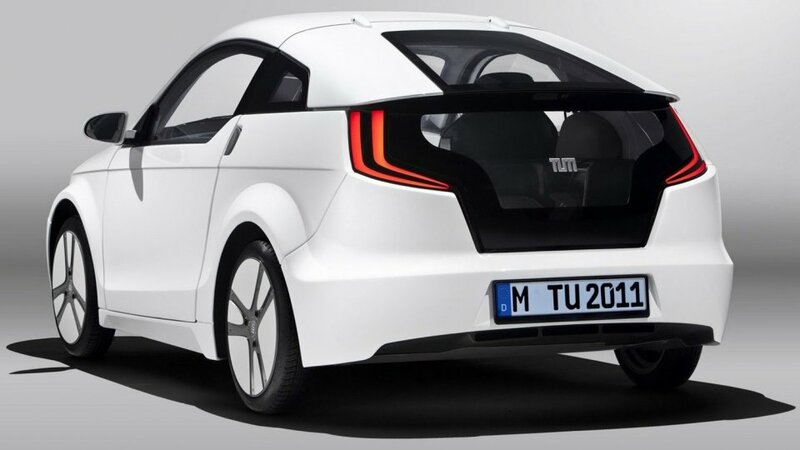 The monster designed by Futureship needs to do only 18,5 km at a strech in turn, moreover it wouldn't get a classic electric drive, if it's built. But to understand what is this „dreaming" good for, it's worth to get acquainted with the cause bringing about the planning. The Scandlines – as it's name also refers to that – solves on Scandinavian waters traffic problems. We may not need to take a map to admit that there're a lot of them. The concerned service is the so called „Vogelfluglinie", which connects the settlements of the Danish Rødbyhavn and the German Puttgarden. Here currently 4 jumbo ferries are cruising there and back, every 30 minutes a line starts, it needs 45 minutes to do the route. 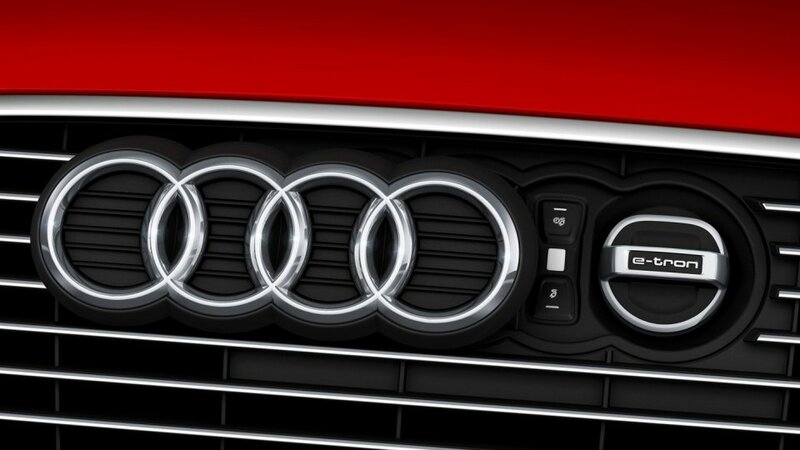 The lines are cruising non – stop, 365 days of the year. It's a good business ... But not for a long time any more, as in the future, at latest till 2015 there will be aggravations introduced in the area, which force the shipping companies to use more environmentally friendly and at the same time more expensive fuels. And if this wouldn't cause enough headache, the opportunity of the construction of a tunnel also came up on the concerned line. The Scandline instead of a slowly mortal agony chose to escape forward, and so came the Futureship into the picture, who put a daring plan on the table. The place of the currently per crossing approximately one ton of fuel consuming ferries would be taken over by vehicles possessing a zero emission value. 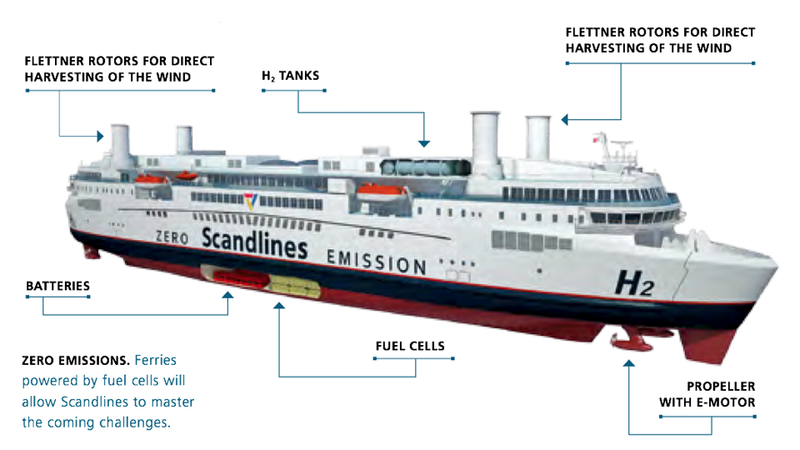 The 11.000 HP strong, 2400 kWh performanced, electric engine powered jumbo ship wouldn't only carry batteries in it's „stomach", but also such fuel cells too, which would transform the 140 m3 hydrogen accumulated in the tanks into electricity. In terms of the holistic planning the design of the whole hull, also the screw would be redesinged in the interest of the economic operation, moreover also the wind power would be utilized by the help of so called Flettner rotors (this part of the Baltic is an expressly windy area). 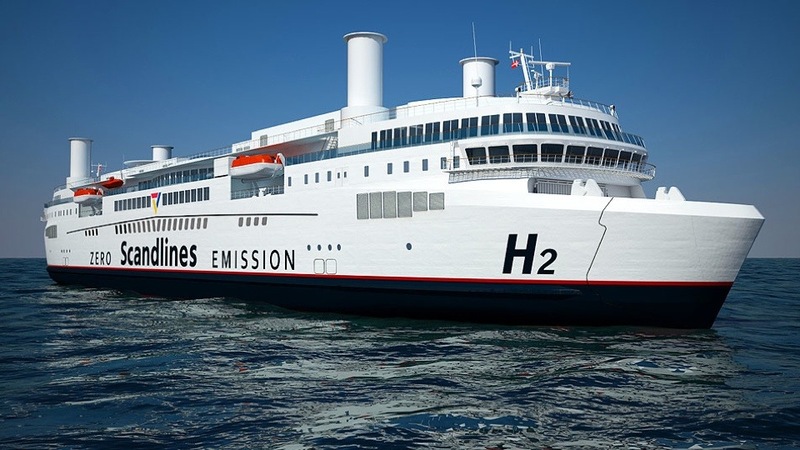 The e – ferry able to hold 1500 people and a 2200 meters long line of cars could go on with an average speed of 17 knots, and it would need to be charged only every 48 hours. The shipping company devoted a serious attention together with this to the effects of the environmental pollution caused by the construction of the named channel and by the vehicles running some day in it. According to their calculations the construction works would emit into the air almost 80 millions of tons of carbon – dioxid by itselves. The fly in the ointment is that for the implementation of this grandious concept, for the launching of the environmentally friendly jumbo ferries there's no realistic chance before 2017, at the same time the process of the channel construction has already begun. We would feel sorry if – literally – the plan went up in smoke. If not there and that time, but we would kindly see the implementation of the dream based on the promisingly sounding and today already available technology. 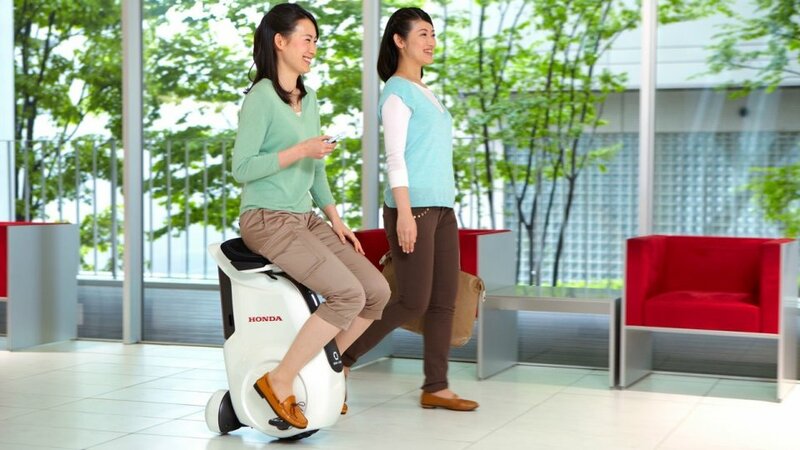 We hardly have to long describe the innovation skill of the Japanese. 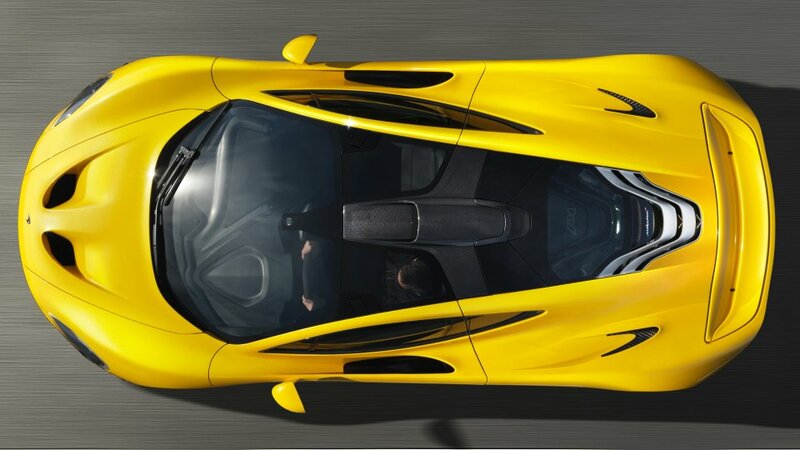 The vehicle presented in our article adjusted to this trend won't go into none of a typical category, though there's a reason in it, it's an open question if there will be demand on it.